Now that collectors know about it, I’m sure copies of CAE 193 will start showing up regularly on eBay about as frequently as copies of CAE 158 show up. 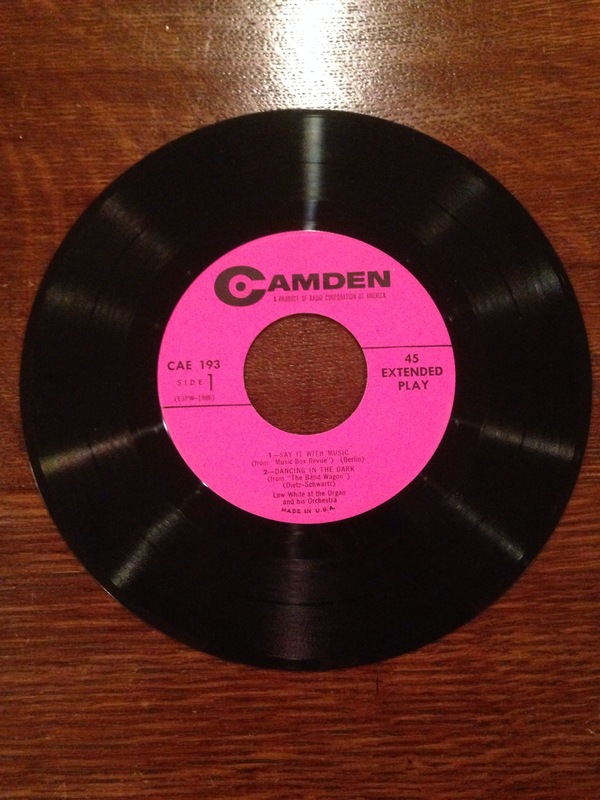 A funny story about CAE 158: I actually found a copy of it a while back at a certain record store here in Pittsburgh. The owner of the store recognized it immediately but sold it to me anyway for the sticker price (like $2 or something), I guess because I’m a regular. He didn’t have to do that and I felt so bad about it I returned the damn thing the very next day. For my effort, I received a generous amount of store credit. He sold the thing. Everybody won. Anyway, I digress. 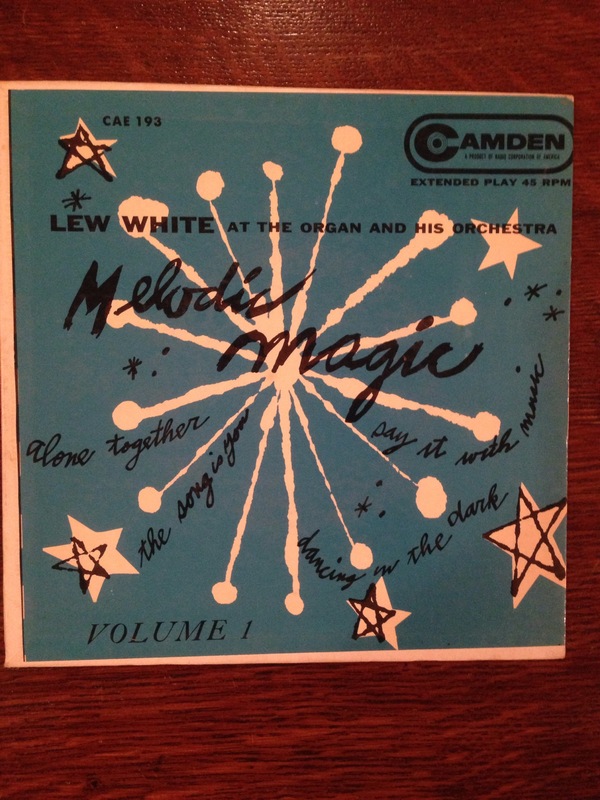 I don’t think I’ve ever come across the Lew White, but if I had, I doubt I would remember. It’s kind of unremarkable. Warhol did it, but really anyone could have. I recently found a Melodic Magic and would like to offer it to collectors first. Are they as rare now as we thought last year at this time (5 or less in existence)? Certainly a few more copies have surfaced since the discovery was made public. I will send notice to my regular collaborators to see if there is an interest. My guess is your best bet would still be eBay. How much were you thinking of asking for it? Sleeve is E due to yellowing on back, but not on slip. 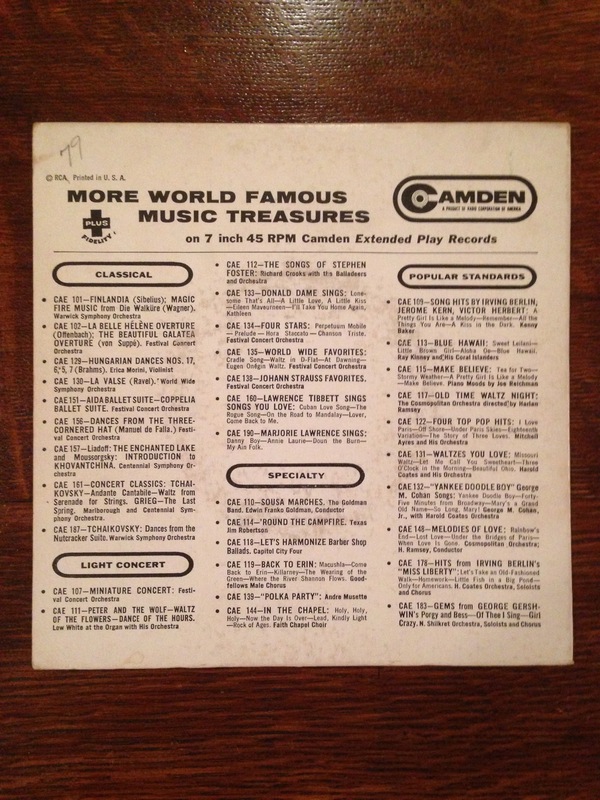 Disc is M. I can’t tell if had ever been out of the sleeve before I took it out or if it had ever been played. Since I am not a collector, I do not know how to tell that. It was in the belongings of a family friend who gave it away when going into long term care. There has been one on eBay asking first $2000, then $1750, and now $1500. I will place it on there soon asking $1250, but would sell it directly for $1125. Will send pictures, of course, to anyone interested. I took a closer look and disc is probably E and sleeve VG+. Okay!, I send a heads up to my friends in the Warhol collecting universe. I’ll let you know if there is any interest.